As early as 1719 the area was known by the Indian name of Ahotskey, which was adopted by the white settlers. The English spelled the name in many ways after articulation of the unwritten Indian sound. 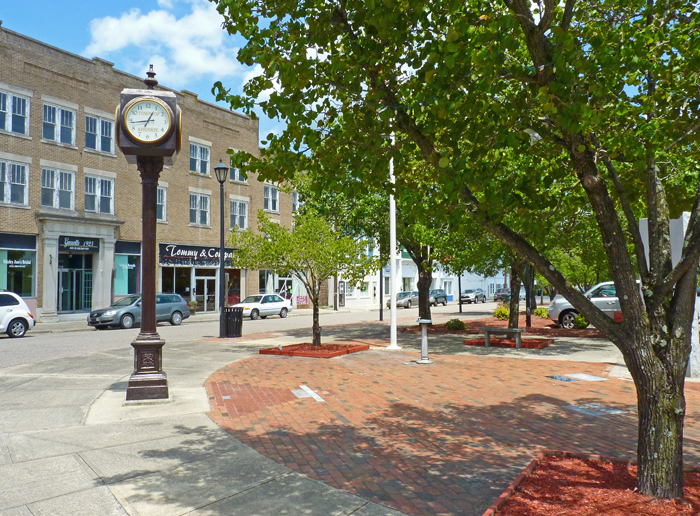 The town of Ahoskie originated in the mid-1880s as a railroad and lumber town, and the intersection of Main Street and the railroad became the primary business location and centre of town. 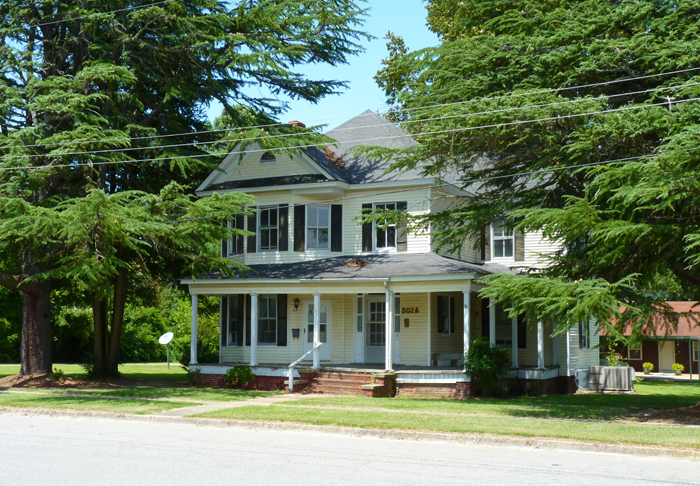 The town was incorporated in 1893, and the name was standardised as Ahoskie. 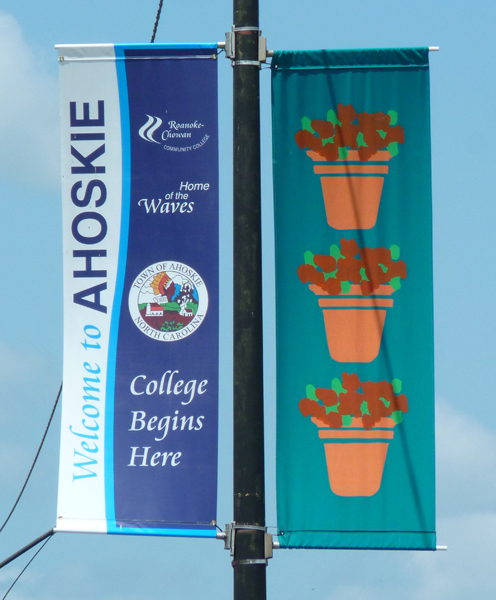 Ahoskie is in Hertford County, North Carolina. The population was 5,039 at the 2010 census. 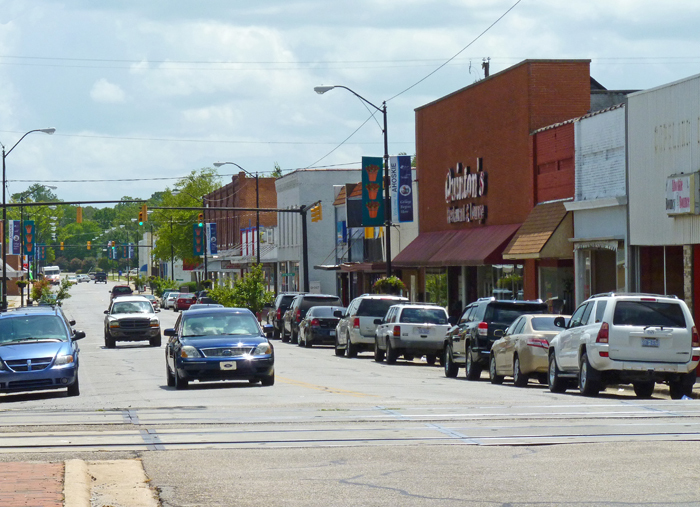 Ahoskie is located in North Carolina's Inner Banks region. Its nickname is "The Only One" because no other town in the world is known by the same name. General view of Main Street, looking west. 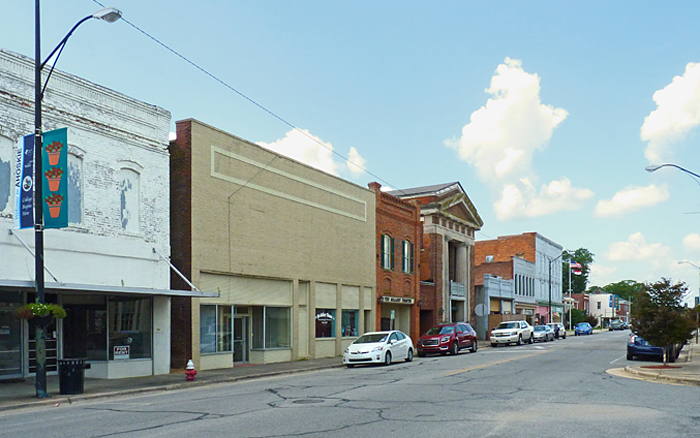 General view of Main Street, looking east. 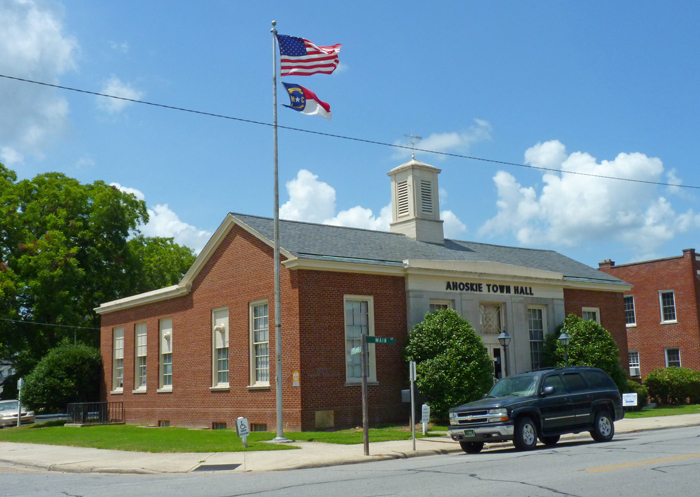 Ahoskie Town Hall on West Main Street was the Post Office until 1975. The Gallery Theatre on Main Street, which continues to put on several productions every year. The building was constructed in 1918. The Gallery Theatre was founded in 1966 by the Women's Division of the Chamber of Commerce as a way of advancing cultural arts. 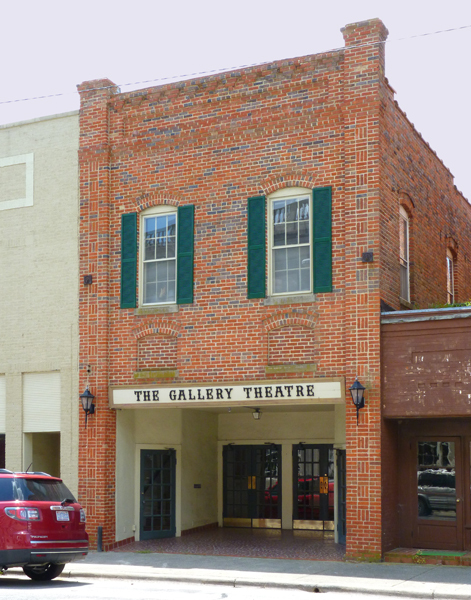 The Gallery Theatre was incorporated in 1981, and selling stocks in the theater at $25 helped pave the way for the renovations and cleanup needed to make this a viable hub for the plays, art exhibits and other cultural events. "no mans land" - an area of disputed ownership - now resolved by the courts. Colourful shop fronts on Railroad Street, built in the mid to late 1920s. Carved stone on the building facade shows this was once the Garrett Hotel, built in 1925. 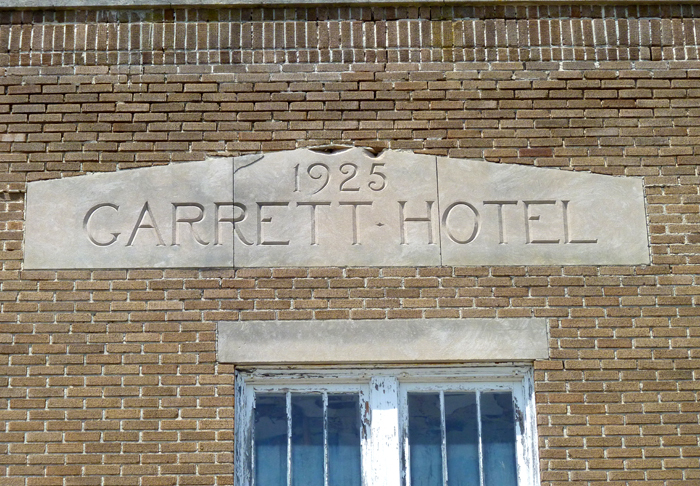 Frontage of the former the Garrett Hotel, built in 1925, and was closed in the late 1940s. 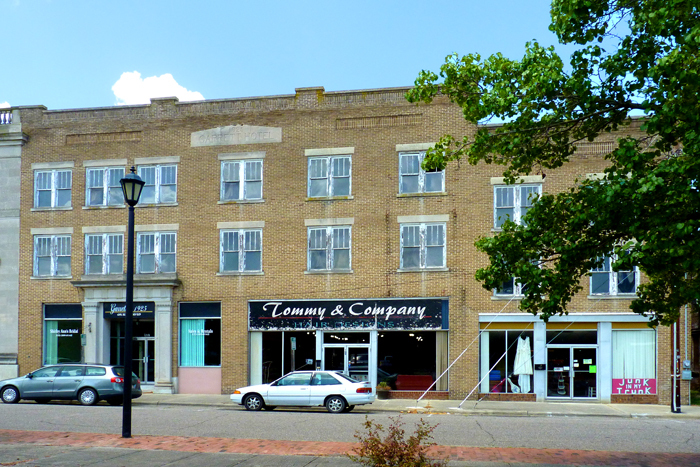 The "L"-shaped building fronts both Railroad Street (seen here) and Main Street. It now houses several retail outlets and a cafe (on Main Street). Huge mural on the wall of the 3-story former Garrett building which was a hotel and a furniture store dating to the 1920’s. 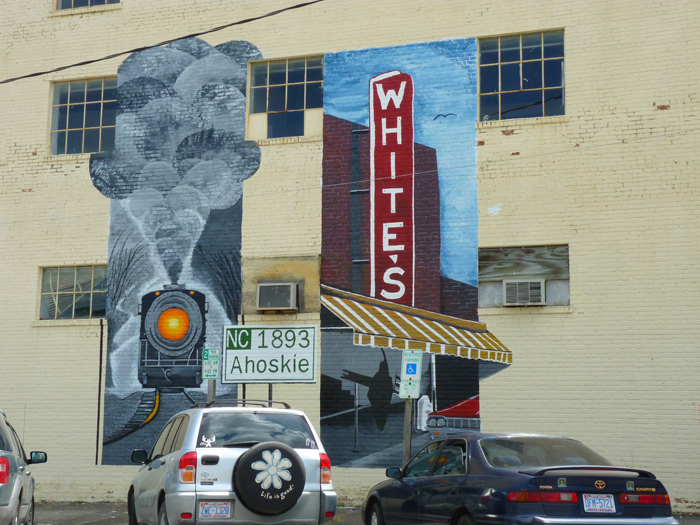 Painted only in 2014, it is on Mitchell Street at the junction with Main Street. The artists are Gary Johnson and Marvin Ryan of the Roanoke Chowan Community College. The railroad tracks run through the centre of town, and, of course, it was the railroad that started the main development of the town. The building on the right of the tracks is approximately where the original station would have been. It is now a freight-only line operated by the North Carolina & Virginia Railroad Company. 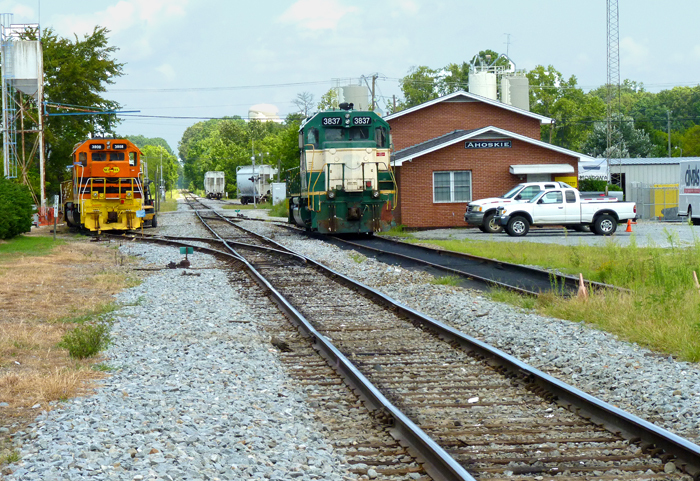 The NCVA began operations in 1987, using tracks of the former Seaboard Coast Line Railroad, and now operates 135 miles of track between Boykins, Virginia (where it connects with the CSX tracks) and Tunis in Cofield, North Carolina. The company headquarters are in Ahoskie. The railroad's traffic comes mainly from steel plate, steel scrap, soybeans, chemicals and fertilizer. 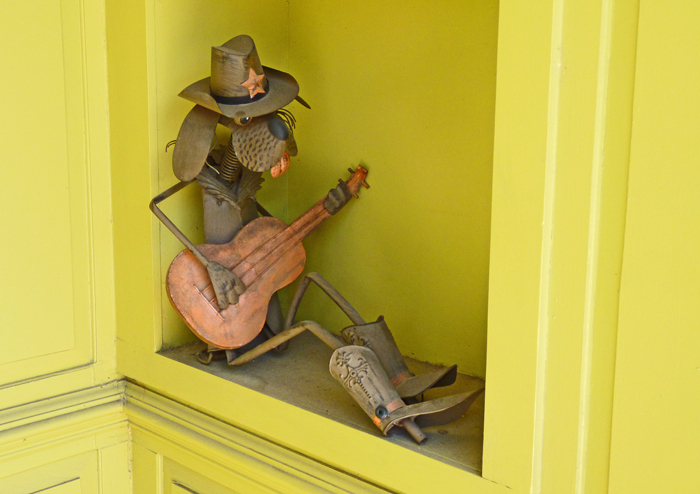 This little fella was in an alcove along Main Street. 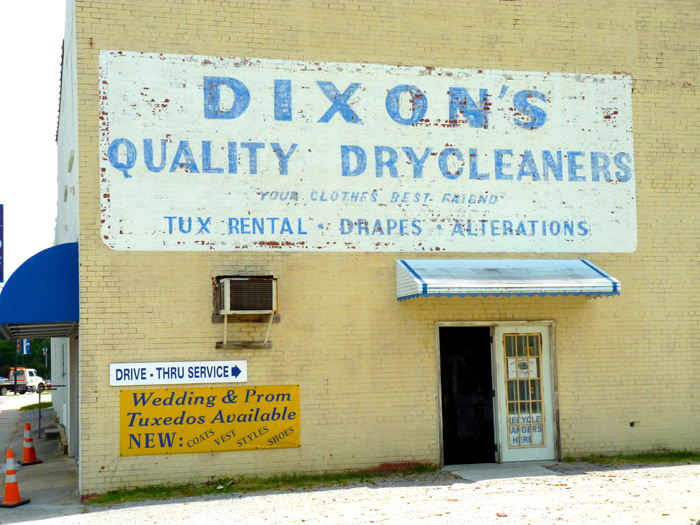 As the sign says, this is the home of Dixon's Dry Cleaners. 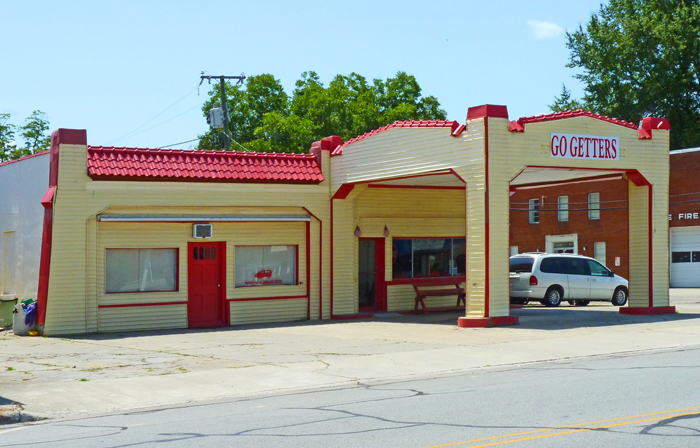 This Art Deco-style building would appear to have been a gas station in times past. It is now the offices of a local taxi firm. 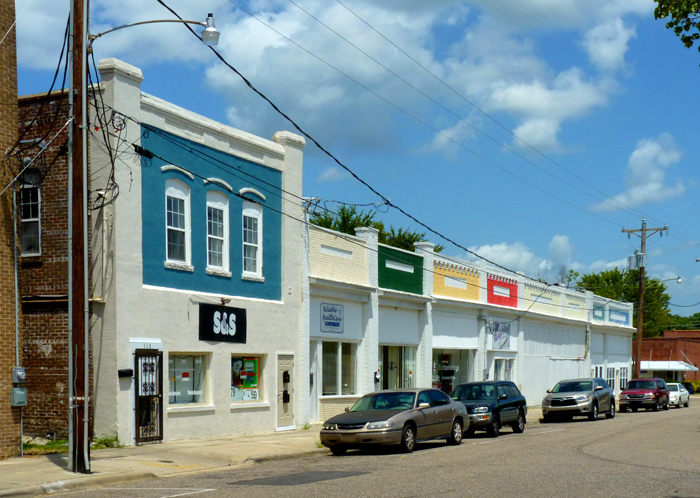 One road back from West Main Street, Ahoskie becomes a fashionable residential area. All the above photographs were taken in August 2015.